Think back to a time earlier in your life when a coach made a huge impression on you. Not seeing the ball? Not making that jump? Not hitting the net? You knew you could do better, you just didn’t know how. Did your coach show you some new strategies? Did they encourage you, and hold you to account? Remember that moment when you reached or exceeded your goals? How did that make you feel? Do you remember the impact that coach had on your performance and life? Having a good business coach on your side is no different. They can offer you support, guidance, accountability, strategy, an impartial view, act as a sounding board, and someone that ‘has your back’. Coaching speeds up growth and increases profits. Coaching helps you with real business issues in real-time. Coaching helps you become more strategic and focused. Coaching holds you accountable to the process of doing the work to reach your goals. Coaching provides you with extensive advice on proven approaches. If you’re reading this then you’re likely already doing well, maybe even good. Do you have a desire to get to great? Faster? If you are honest with yourself, than you know, it’s no longer good enough to be a good or even great lawyer. You must also be GREAT at THE BUSINESS OF LAW. In order to grow your market share or even maintain it, you must reach higher. You MUST HAVE AN EDGE. That’s where OnTrac® Coach comes in. Working exclusively with lawyers and law firms since 2005, we have earned the reputation of being a leading provider of business coaching in the legal industry. When you work with us, you benefit from the vast and diverse experience in working with other legal professionals. Law firms in all sizes, geographical locations, and various practice areas. Why not learn from those that have gone before you? Why create the wheel? What would your law practice or firm look like if you reached higher? I will help you achieve your goals faster, speed up your learning curve end enjoy more success in your career; save you money and help you generate even more. GET THAT EDGE! All of my coaching programs have been specifically designed to meet the business challenges lawyers face at various stages in their careers. 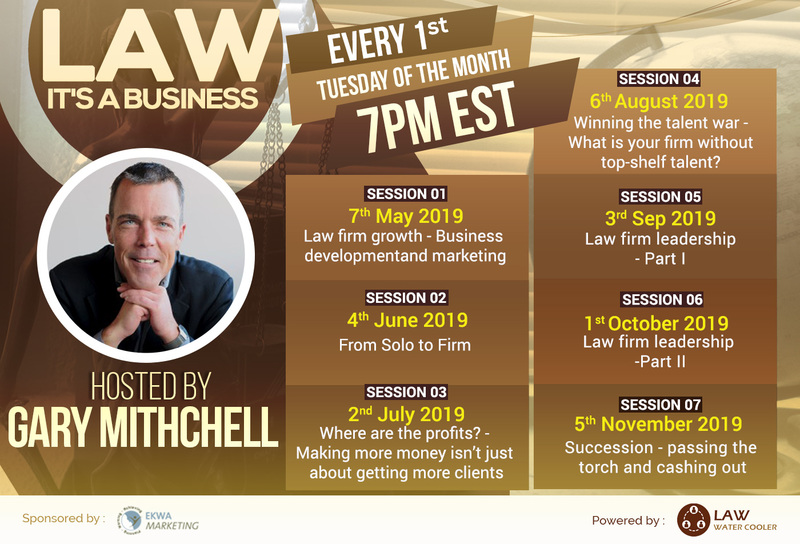 For law firms, the common thread is that these programs all lead to firm growth, and increased profitability. Are you at the top? Leading your firm into the future. Consider the Managing Partner Program to assist you in navigating the business of the firm and all of the competing challenges you face day-to-day. For your lawyers who have learned to grow their practice beyond themselves, or are ‘promoted’ to practice group or team leaders, help them take the next step with the Leadership Program to assist them in growing and managing their teams. Support your newly acquired lateral hires significantly improve their transition to your firm and set them up for future success with the Transition Program. The legal market is more competitive than ever. You need that edge. Help your lawyers build their book by attracting more clients with the Business Development Program. Most lawyers are not known for their organization skills. For firms looking to improve efficiencies, productivity and profitability, consider enrolling your less efficient lawyers in the Practice Management Program. If you are a young lawyer just starting out, or not where you want to be, take a look at the Career Program. “It’s not how good you are now; its how good you’re going to be that really matters,” Atul Gawande says. View his TED Talk on coaching here.